What do Lysergic acid diethylamide (LysergSäure-Diethylamid) synthesized in 1938 by Dr. Albert Hofmann in Switzerland and the Letter Shaking Device have in common? Exactly! Beside the acronym - nothing. There is no application found for this device yet. Maybe a gadget or advertising producer could make use of it. Simply take it into your hands and shake it. Eight LEDs on the front will light up and form one of four short text messages. Non-volatile stored and programmable, texts can also set write protected for permanent advertisement, an email or web address, a slogan or a line of song text. Also it might serve as toy, gadget or maybe as part of an unborn board- or computer-game. Don't bother on the outfit of the device, it could be placed inside every imaginable formed piece of plastic, metal or even wood. 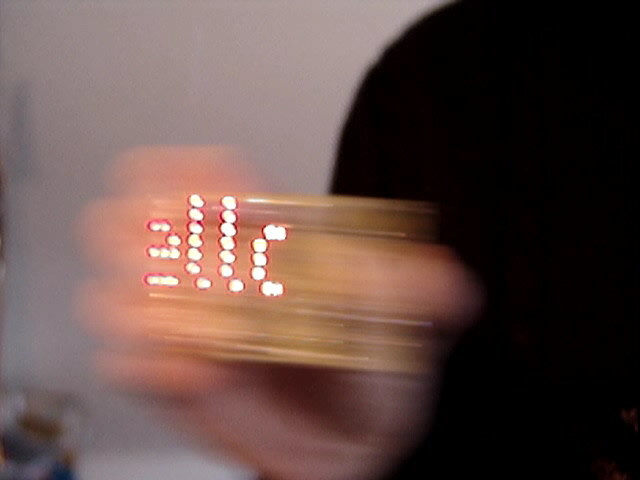 This shows the display in action, the text scrolls slowly while shaking it to and fro. The text is very far to see and if shaken somewhat carefully clearly to read. Stop moving the device immediately turns into a energy saving control mode to switch between or change texts. A full ascii character set including special characters is on-board. Also little graphics, logos and even animations are realizable. LEDs of all available colors or multi color LEDs are doable. Downside or back side? 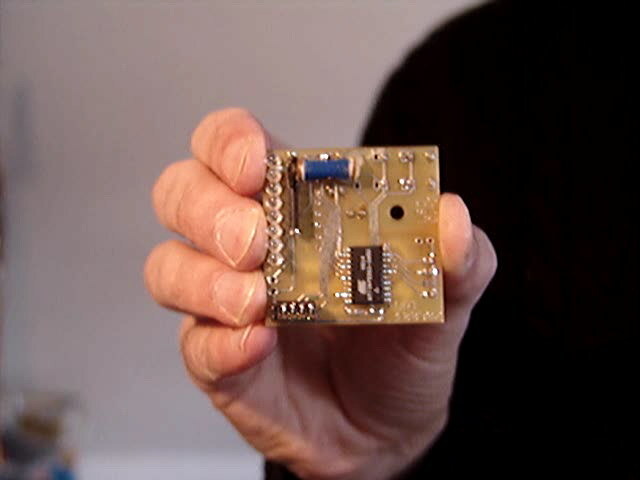 At least no downside, very cheap to realize electronic, soft- and hardware ready to use. 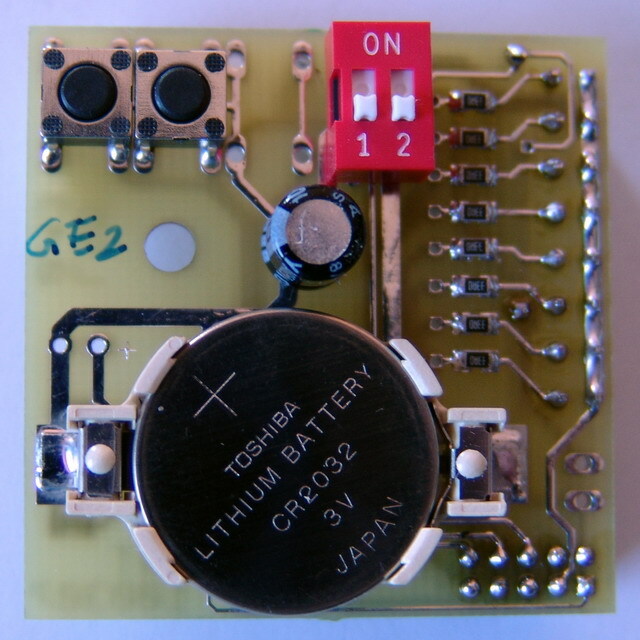 On the pictured back side you can see two push-buttons for controlling the device, the on/off button and a standard lithium battery.